As part of Laguna Phuket’s 30th Anniversary Celebration in 2017, the resort will host “Laguna Phuket Triathlon’s Charity Fun Run” on Saturday 18 November. 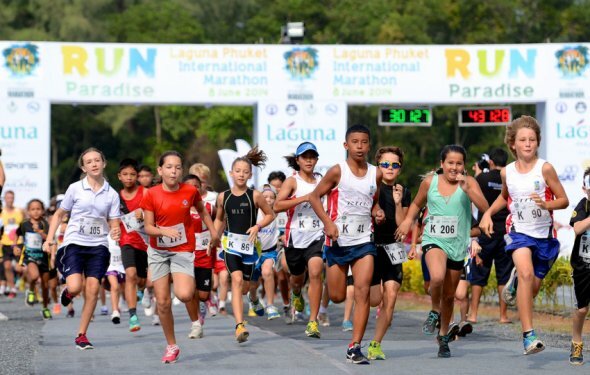 Comprising 5 KM and 10 KM distances, the Charity Fun Run will weave through the resort’s tropical parkland scenery and raise funds for LPT’s charity partner. For the inaugural LPT Charity Fun Run in 2017, Laguna Phuket Triathlon is partnering with “Kao Kon La Kao” (meaning “take one step each”) or “Kao Project”, a charity run campaign by Thailand’s leading rock star and lead vocalist of Bodyslam band Mr. Artiwara Kongmalaihas, best known as “Toon Bodyslam”. THB 100 from each “LPT Charity Fun Run” registration will be given to Kao Project, and Laguna Phuket will top up the amount to double the funds raised at this year’s Laguna Phuket Triathlon.